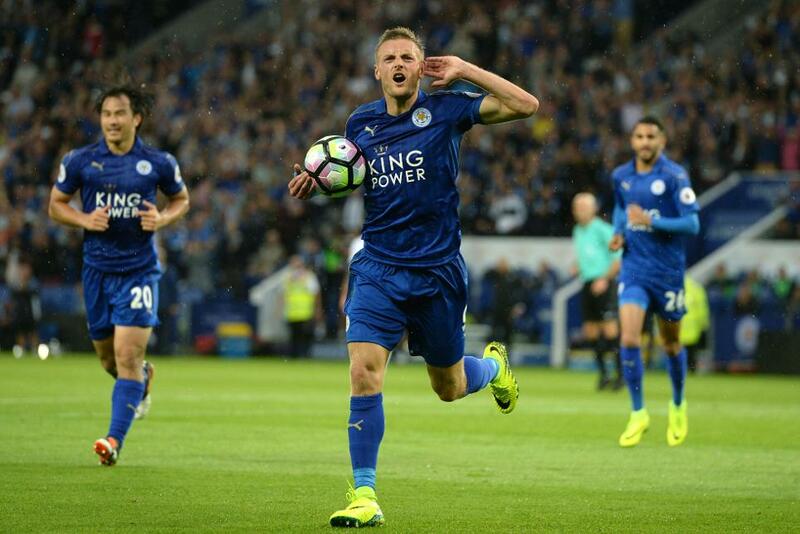 A resurgent Jamie Vardy (£9.8m) claims his place among the main Fantasy Premier League captaincy contenders for Gameweek 30 as Leicester City welcome Stoke City to the King Power Stadium. Overlooked by FPL managers for much of this campaign, Vardy produced 24 goals and eight assists last season and is back on the radar as both a Gameweek signing and potential FPL skipper. With three goals and two assists in the last three Gameweeks he is the most transferred-in forward since the previous deadline, with 102,000+ managers drafting him in. Team-mate Riyad Mahrez (£8.9m) – last season’s top-scoring FPL asset with 240 points – also presents strong credentials. The Algerian has netted in each of the last two Gameweeks and will be a key figure as the Foxes seek a fifth successive win in all competitions under manager Craig Shakespeare. Elsewhere, Chelsea's Diego Costa (£10.7m) and Eden Hazard (£10.2m) will also contest the captaincy. Both returned to training on Thursday amid doubts surrounding their fitness ahead of a Stamford Bridge meeting with Crystal Palace. Costa has scored or assisted in 11 of his 12 home appearances but has yet to deliver double-digits in a home match. Hazard is the more explosive player on home soil, producing at least 10 points on five occasions for his 27.9% owners. Dele Alli (£8.9m), the most popular midfielder in FPL with 28.4% ownership, has picked up 80,000+ new owners ahead of Tottenham Hotspur’s trip to Burnley. Tasked with filling the void left by Harry Kane’s (£11.2m) absence through injury, he has produced 11 goals and a pair of assists in the last 12 Gameweeks, lifting him to third spot in the midfield standings. But Alli and Spurs may not find goals easy to come by, as the Clarets have conceded only 12 times in 14 matches at Turf Moor. Sadio Mane (£9.7m) and Romelu Lukaku (£10.5m) offer in-form alternatives in Liverpool's Merseyside derby with Everton. Mane has delivered double-digit scores against Spurs and Arsenal in two of his last three home outings. The 47%-owned Lukaku has struck nine goals in the last six Gameweeks, including three double-figure tallies, to move to the top of the FPL forward standings. Another pair of big-hitters go head-to-head at Emirates Stadium on Sunday afternoon. The top-scoring player in FPL, Arsenal’s Alexis Sanchez (£11.6m) has produced a goal or an assist in all but two of his previous 15 appearances, including a 15-point total in his previous home fixture. Manchester City’s Sergio Aguero (£12.7m) has provided four sets of double-figure scores away from home and faces a Gunners team who have conceded three times in three of their last four Gameweeks. Swansea City’s Gylfi Sigurdsson (£7.8m) is arguably the most assured captaincy pick on offer. While he has only provided three double-digit scores all season, all have arrived at the Liberty Stadium where the Swans face Middlesbrough on Sunday. Sigurdsson has been a consistent source of FPL returns, producing a goal or an assist in eight of his 10 outings under head coach Paul Clement. The playmaker has scored or assisted 53% of Swansea’s goals this season and faces a Boro defence with a single clean sheet in their last nine away matches.